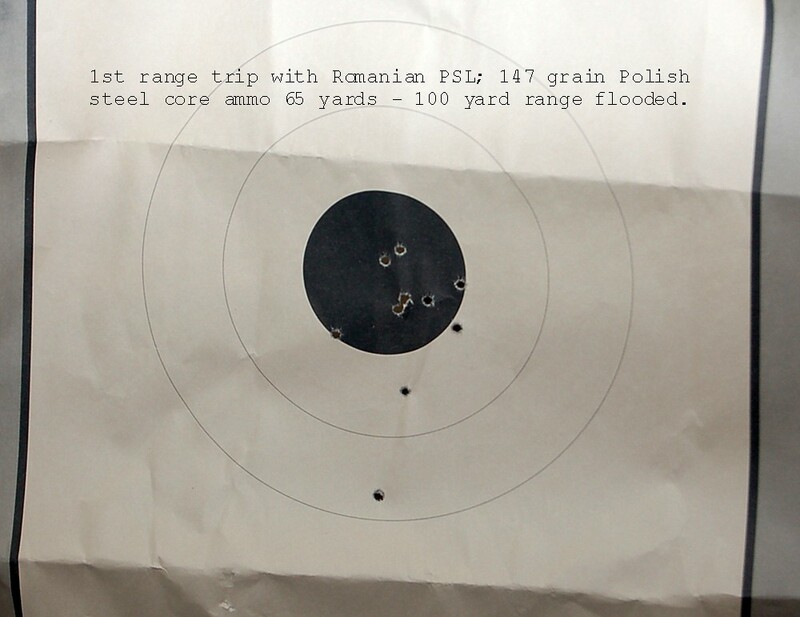 The Romanian PSL rifle is back ... for now. You guys remember years ago when the Romanian PSL was going for around $600 with scope and all the goodies? Now it's back and well over $1800+ IF still in stock at certain dealers. This new release comes with a slightly better scope but that's it. No bayonet lug on the flash hider and no extra mag. You get 1 mag and extra ones usually go for $70 or so a piece. Also, no accessories included at all. I upgraded the trigger in mine to a match trigger and put a beautiful Russian PSO3x-9x scope on it. Love it! For that kind of price I’ll stick to my FALs and M1As. begreen61 and Samb like this. Which M1As do you have? I just put my Scout Squad in an EBR chassis but haven't gotten to test groupings with match ammo yet. I have a plain scout m1a scout and a ‘07 100th camp perry anniversary edition and a cheapo but surprisingly good polycom knock off. Oh yeah, my first was my Polytech (much better than the Norincos). The receivers alone go for many hundreds. And some of the other nice forged parts. I need to evaluate what my collection is worth now. I know some of my prebans have dropped jn price dramatically. But then again I know some of my unbuilt imbel gear logo metric receivers are now worth 3-4x what I paid for them. Good thing I never got into guns as really an investment. But I know my Saiga 12, Arsenal, and now PSL could fetch me much more than I paid/put into them. Nah. Not an investment but good to know what it’s worth If I need to liquidate some to fund other pieces. I have one of the original Saiga 12s unmodified but as imported with a folding stock. Stupid 26 inch barrel. It’s a unique piece I picked up living near KREBS when they first started bringing them into the country/modifying them. Yeah I got a "vodka special". But after getting it fixed by a cert. dealer and modding the hell out of it, it's way better than any VEPR or overprice Fostech Origin 12. Turning it into a pistol grip beast made it much more "scary" looking. And I don't think I could ever sell a gun to make room for another. I'd have to sell my knives first. You're a better man than me. I’ve offloaded a couple Sks-d and sks-m back when they were worth a lot less. I have sold off some unbuilt receivers, and a 590 mariner. I’ve given away some shotguns and rifles to family. But beyond that once they get in the safe they are mine. Usually buy up kits and receivers with every intention of building up multiple variants but never end up with the time. And so they sit. I kind of value what I have for insurance and inventory purposes. Plus to leave a record for the family should I kick the bucket. Otherwise who knows. Maybe they’ll sell it all at scrap metal value. Don't forget me in your will, they will have a great home next to my toys! Sure glad I bought mine years ago when they were cheap. Mine has a stub of a bayonet mount. I haven't shot it in a while; but need to! I have several boxes of Privi brass, boxer primed 7.62x54R ammo. The last time I shot it the 100 yard range was flooded; so I tried to sight it in at the 65 yard line. It isn't MOA accurate but... I don't use the rubber eye piece. That's the best accuracy you'll get even with match ammo. Trust me I've tried lol. Good news is no less accurate than a multi thousand dollar Dragunov. Still plenty accurate for most tasks though! I see I'm not alone on the mismatched wooden furniture either lol. Stock is darker on mine too versus the handguard. I nailed a fire extinguisher at 200 yards with iron sights and thats good enough for me lol. Looks nice but I can't ses paying 2K for one. Supply and demand basically. Just like the knife world. Guitarman8373 - I agree with Guillermo - it isn't a $2K gun; a sub $1K gun when introduced and despite what people are paying for it on GB ($1,300 - $1,400) is a bit over price. A heavier barrel and a better scope - then maybe. I was lucky when I bought mine; I have 4 magazines for it! 4 mags x $70+ a piece. That's bank right there. Mine came with two. Plenty enough for me. I actually bought a gorgeous Red Army issued scope from kalinka optics, much better than the fixed magnification one that comes with the rifle. The other thing that always held me off is it’s another caliber to stock. To accompany my M1As, I have 3 FALs and a AR10, a 110Fp and a 970. What else would I run other than a Nagant? I know this is an older thread but I received an e-mail from Classic Firearms the other day...$2,799.99 for a PSL from them. One magazine, upgraded scope.